"I always think of the sidecar as a brandy margarita, except that it is made with fresh lemon juice." Fill a cocktail shaker 3/4 full with ice cubes. Pour in lemon juice, Cointreau, and brandy. Cover and shake vigorously for about 30 seconds until the outside of the shaker becomes cold and frosty. 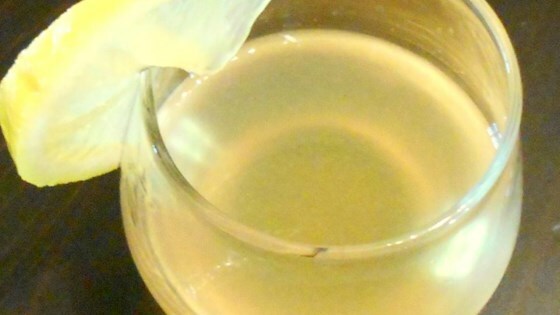 Strain into a martini glass and garnish with a wedge of lemon. See how to make a classic Cognac cocktail. I absolutely love Sidecars - they are best when served with a sugar-rim! Wonderful recipe! If you like a sweeter drink, then add a packet of Splenda before shaking. Absolutely my favorite cocktail of all time! Dip the rim of your glass in sugar for a nice finishing touch. delicious and dangerous! We had to have a second one, because the first was soo good! Love this cocktail. Jimmy's Harborside, Boston makes the BEST.